Inhale Caffeine – Le Whif | Breathable Caffeine Powder - Good or Bad? This is a NEW coffee product by Le Whif. Only two stores will initially sell this coffee product – Dylan’s Candy Bar in NYC, and Cardullo’s Gourmet Shoppe in Cambridge, Mass. So… WHAT is this mysterious product? It is a coffee that isn’t really coffee – it is a breathable powder, like a step above a Scratch-and-Sniff. It DOES have caffeine – they say it has as much as a very light espresso (which could be about 50 mg of caffeine). The product is very unusual to say the least. They also have a Chocolate Le Whif which has the taste of chocolate without the calories. 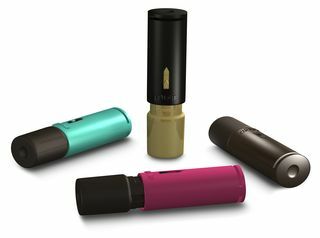 The Le Whif Coffee is portable and COULD be a good thing to bring along when you may be unable to get a REAL coffee.